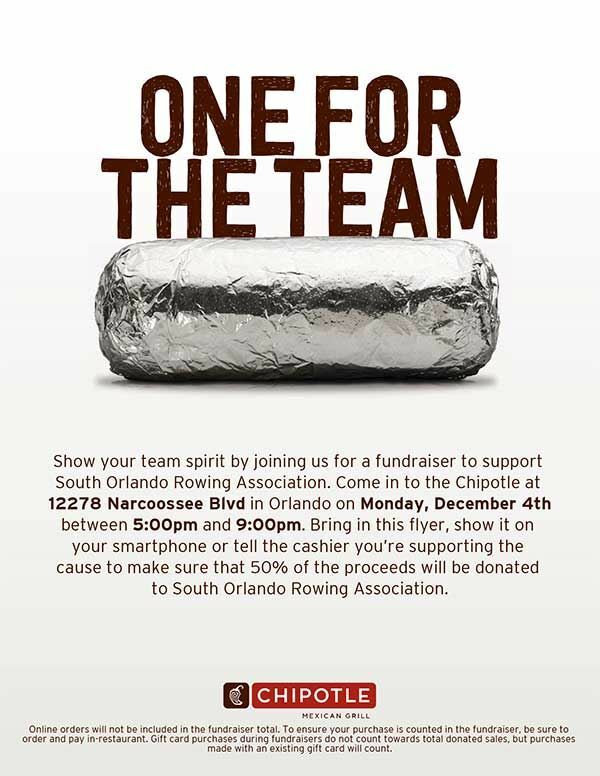 Let's get all hands on deck at the Lake Nona Chipotle for some great food and fundraising for SORA. 50% of all proceeds from those ordering and presenting our flyer will go directly to SORA. This event requires guests to present this flyer either on your smart phone or printed out. We can't distribute flyers on spirit night so please download the flyer and pass it along to all your friends and family to present when they order their meals.